Since 1985, our customers have depended on Kevin Ginnings Plumbing Service Inc. for North Kansas City Missouri plumbing services. We pride ourselves in offering friendly, professional, expert service at a fair price. Our contractors have an extensive knowledge of North Kansas City plumbing. 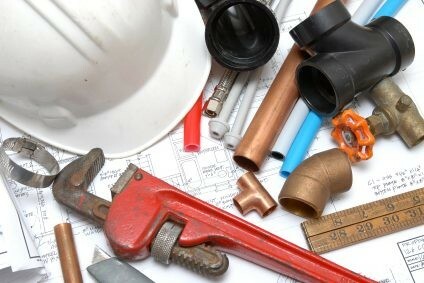 We are experienced at quickly and accurately diagnosing the plumbing problem in your North Kansas City home or business and coming up with a solid plan of attack. We then work with you around your schedule to thoroughly remediate the problem and get your plumbing functioning at 100% again. Kevin Ginnings Plumbing Service Inc. has expertise in all facets of plumbing. If you need to plumb your newly remodeled kitchen or bathroom or require new construction plumbing in North Kansas City, call Kevin Ginnings Plumbing Service Inc. for a fast, free quote. We can insulate your pipes for the winter, unclog your toilet or bathtub, or install a new faucet. We hope to build lasting relationships with our North Kansas City Missouri plumbing customers so we can help you every time your plumbing systems need repair or maintenance. We know our customers can't live without plumbing in North Kansas City, which is why we're available 24/7.When a plumbing disaster strikes, call Kevin Ginnings Plumbing Service Inc. any time! We make emergency plumbing house calls to North Kansas City all hours of the day and night. Just call Kevin Ginnings Plumbing Service Inc. anytime at (816) 832-4322 and we will be on our way to fulfill every North Kansas City Missouri plumbing need you have.